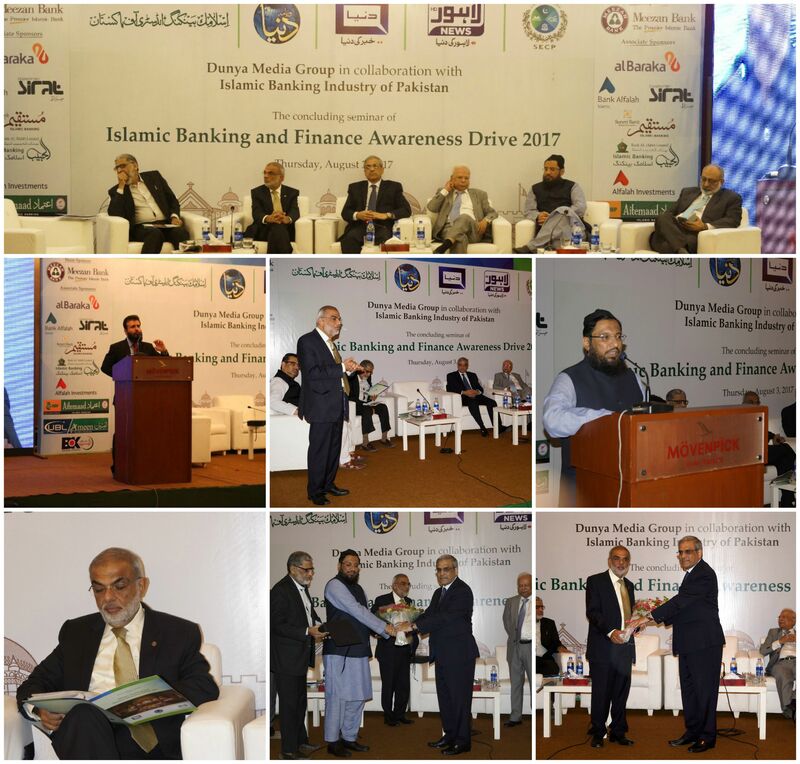 Meezan Bank supported the entire awareness drive of Dunya News as the main sponsor as well as through active participation of the Bank’s senior management in the various events organized by Duniya News as a part of their Islamic Banking awareness drive. The leading speakers at the event, Mr. Irfan Siddiqui, President & CEO – Meezan Bank and Mufti Imran Ashraf Usmani, Resident Shariah Board Member – Meezan Bank, shared their views on the importance of creating awareness about Islamic banking in the country to avoid the misconceptions surrounding Islamic finance. Their talk focused on building consumer knowledge, trust and confidence. The seminar was attended by the Governor State Bank – Mr. Tariq Bajwa, leading dignitaries of the Islamic banking industry, as well as professionals and students of Islamic Finance.